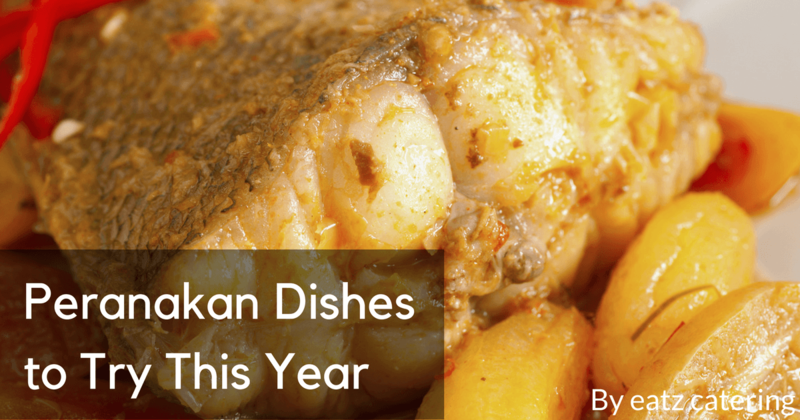 Not sure which Peranakan dish to try first? 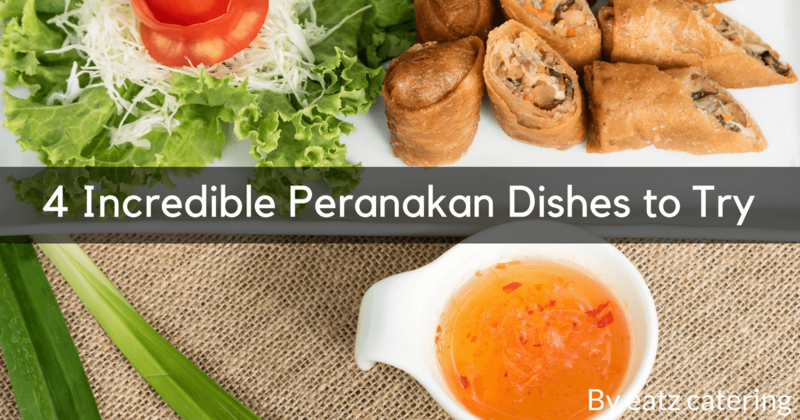 Check out these four Nyonya favourites that you won’t want to miss! Passed down through generations, Peranakan dishes offer exotic ingredients and satisfying flavours. Find out which ones you should try! Do you want to amaze your guests with a sublime spread of food? 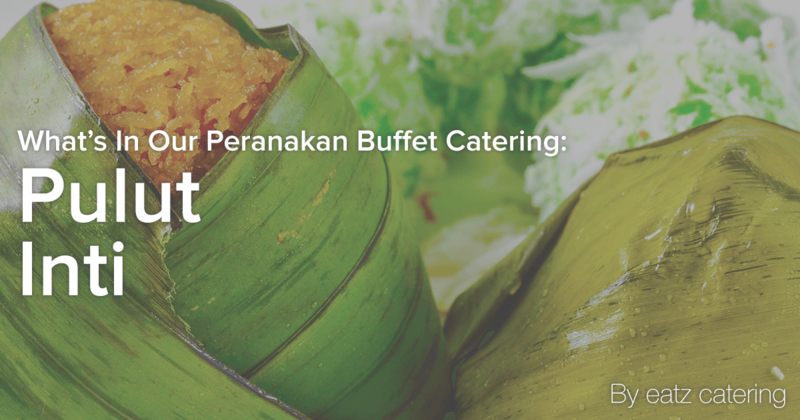 The rich, tasty dishes of Eatz Catering’s Peranakan buffet will do the job. 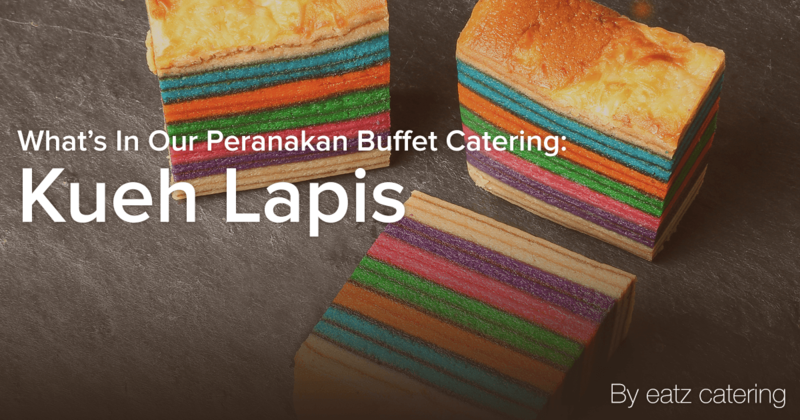 With its fun, colourful layers and unique steamed texture, Kueh Lapis is an all-time favourite with Singaporeans of any age. Need a sweet treat to please your guests’ palates at your next event? 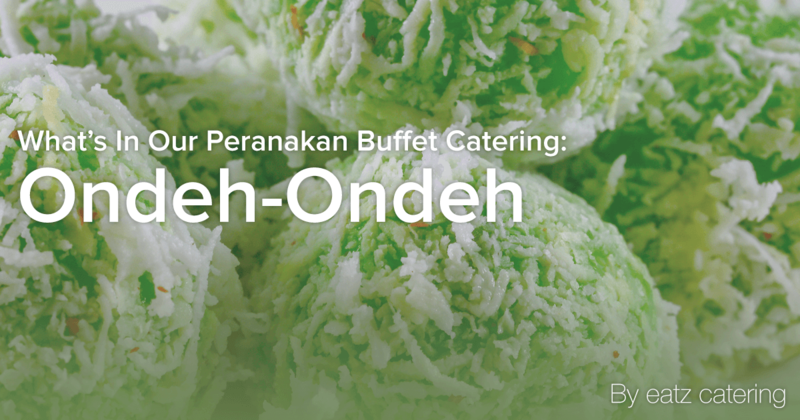 Try ondeh-ondeh, available with the Eatz Catering’s Peranakan buffet. Did you love Pulut Inti as a child? 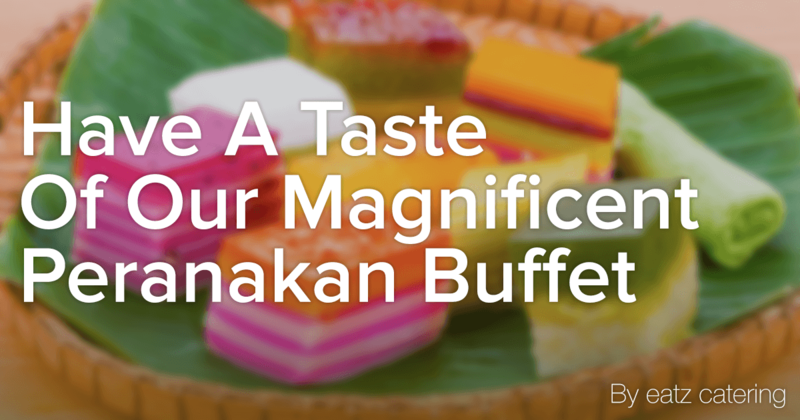 Enjoy this sweet treat again by making it yourself or ordering a Peranakan buffet catering package. Do you want to impress the guests at your next big event? 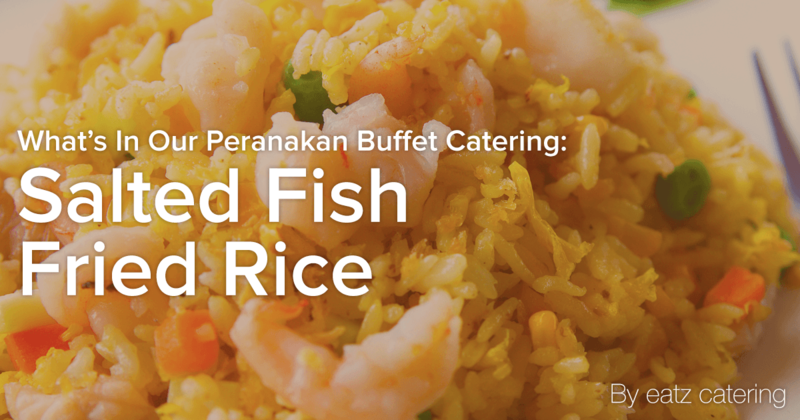 Hire Eatz Catering to create a Peranakan buffet feast, including our salted fish fried rice! 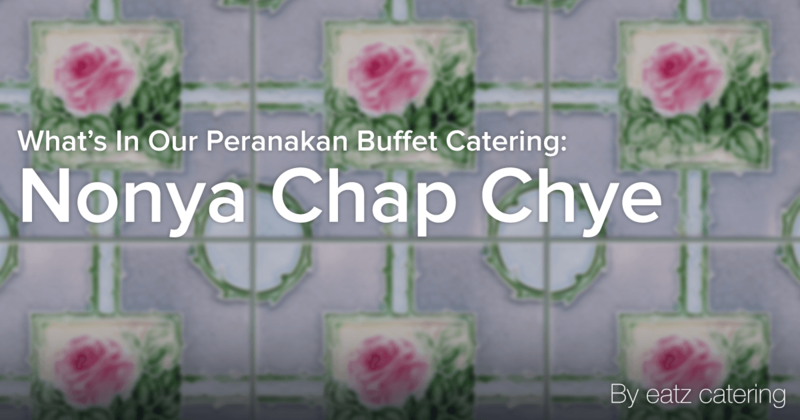 Are you looking for delicious dishes to round out your Peranakan buffet catering package? 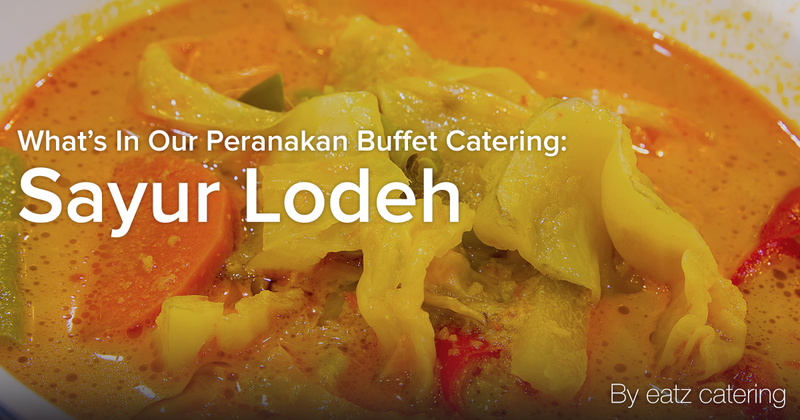 Why not try some light and spicy Sayur Lodeh? Are you craving the unique, varied flavours of Nonya Chap Chye? Discover this rich vegetable stew that is part of our Peranakan buffet catering menu item. Want a bit of sweetness to end your delicious meal of Peranakan buffet catering? 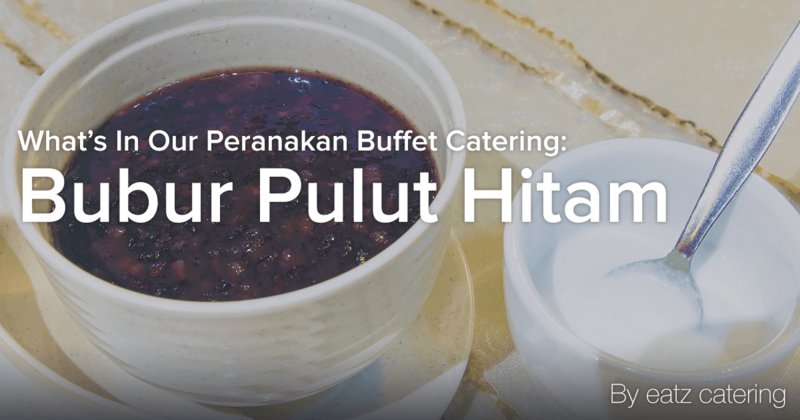 Why not order Bubur Pulut Hitam as one of your dessert options?